A sweet treat to end off your day! From 5pm daily, savour our Tau Sar Piah/Cup Cake at $1 each (U.P. $1.50 to $2) with any purchase. 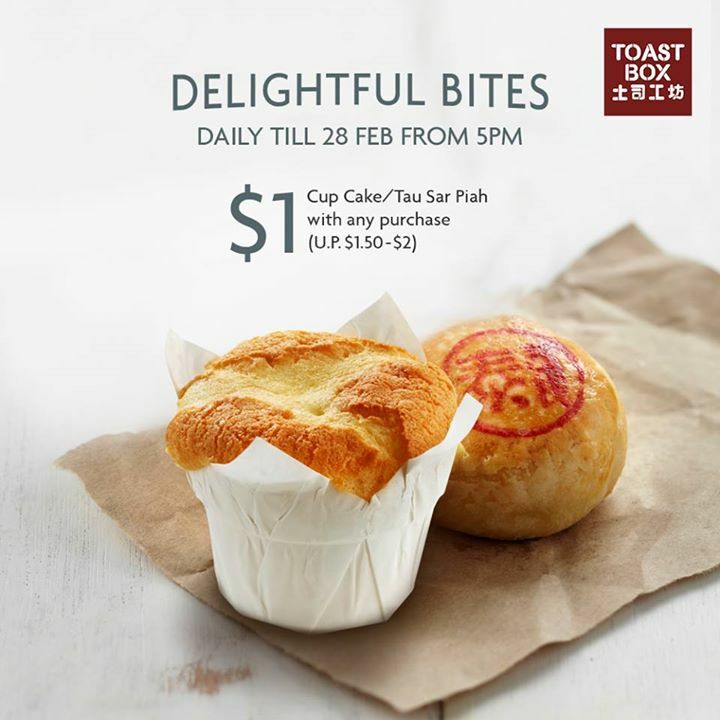 Promotion valid till 28 Feb, at all Toast Box stores (excluding MBS and RWS). Next: [Farfetch] There’s more to eveningwear than just dresses….